Ever wonder what goes into the building of your house? Did you ever stop to think about what is behind those nice smooth walls? Most buyers never got to see their current house when it was being built and the amount of technology, resources, labor, and detail can be surprising to most of us. 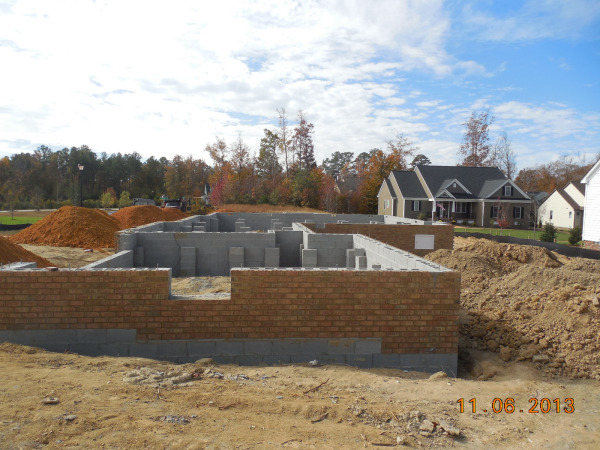 This is the first in a series of posts to show you some of those details of a house under construction here in Williamsburg, Virginia. 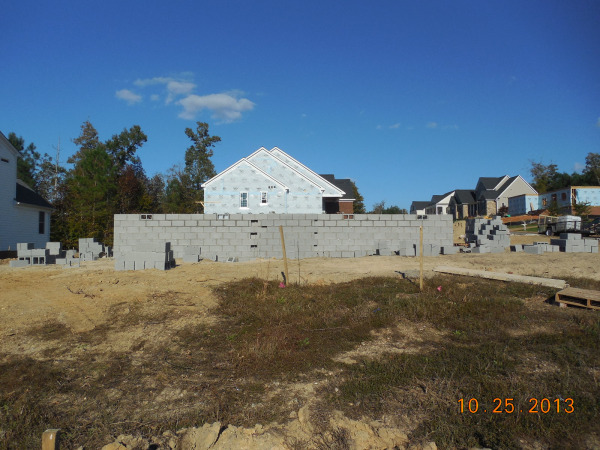 The below photos are of the new model under construction in Monticello Woods. 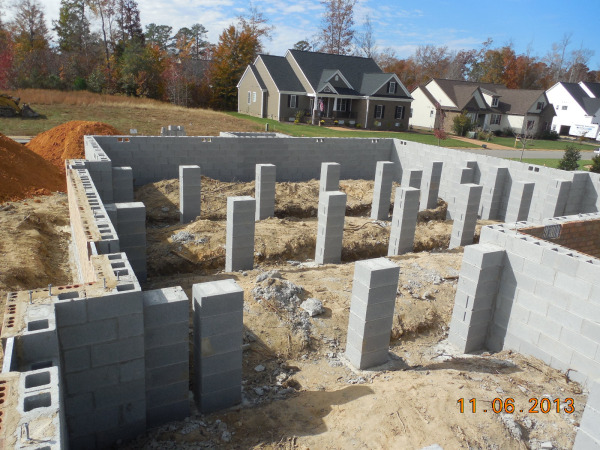 Under construction by Wayne Harbin Builders, the Peyton Model is a 4 Bedroom, 3.5 Bathroom home, 3096 square feet in size. There is a guest suite on the first floor, and the master bedroom and other bedrooms are all on the second floor. The elevations and plans (click here to download) can give you an idea of the final appearance however it can be challenging to picture the house before it is complete. 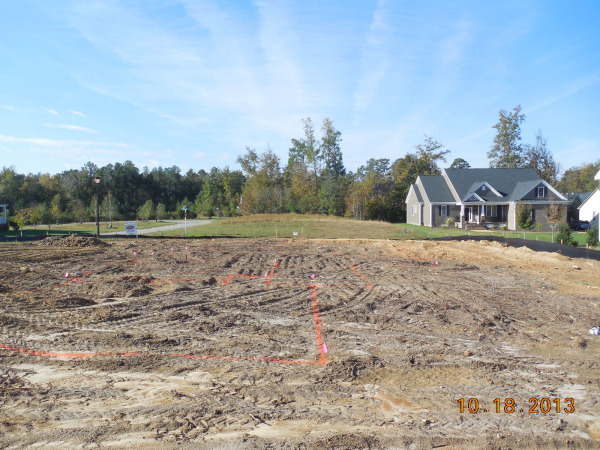 As you can see from the photos the lot has been cleared and the foundation is nearly complete. 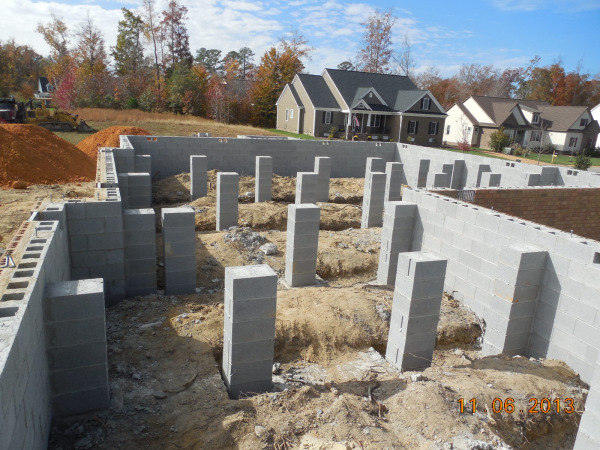 The foundation is built up using concrete blocks with brick on the outside. The house is on a corner so there will be a side loading garage as shown in the house plan. Next time we should see the foundation complete and the floor started. 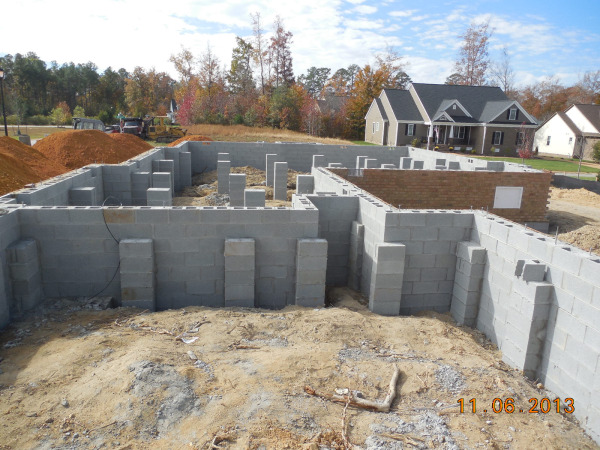 Construction will take about five more months and the house is scheduled for completion in March of 2014. The house is also currently listed for sale in the Williamsburg MLS. 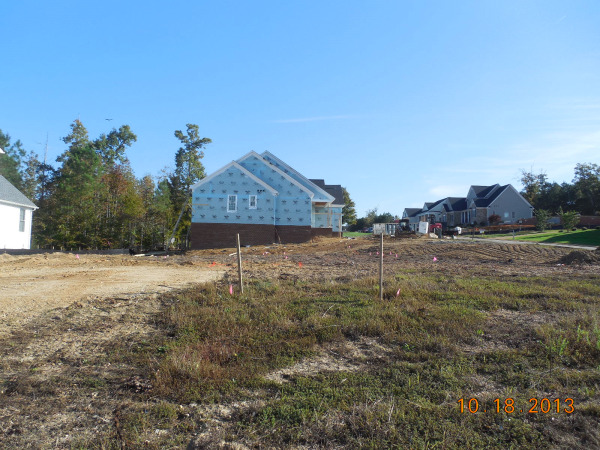 For more infomation on this home, or any others in Monticello Woods, call us at 757-645-4106. Have you ever thought about buying a brand new home? Tell us a little bit about your dream home, and we’ll arrange for a complimentary consultation with a new homes expert who can point you in the right direction!